Urban Decay NAKED on the Run. Urban Decay got super smart as they just created a NAKED palette for us super busy gals that are constantly on the go. Not that their other NAKED palettes weren't portable, but those palettes don't have everything you need to create an entire makeup look in one palette. 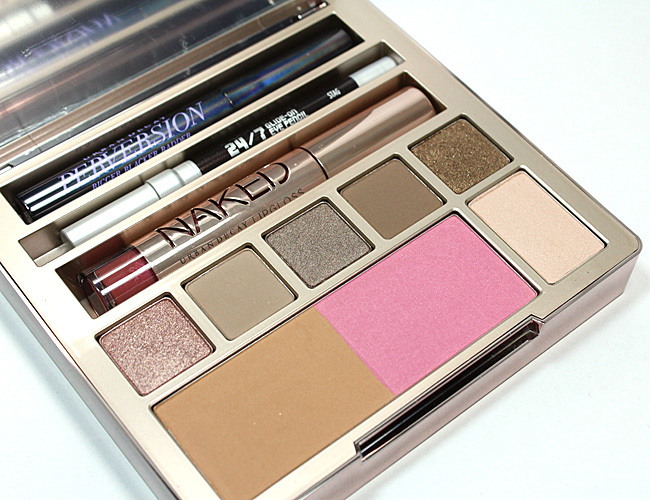 This new limited edition Urban Decay NAKED on the Run palette does. It is the ultimate all-in-one palette and I am obsessed. 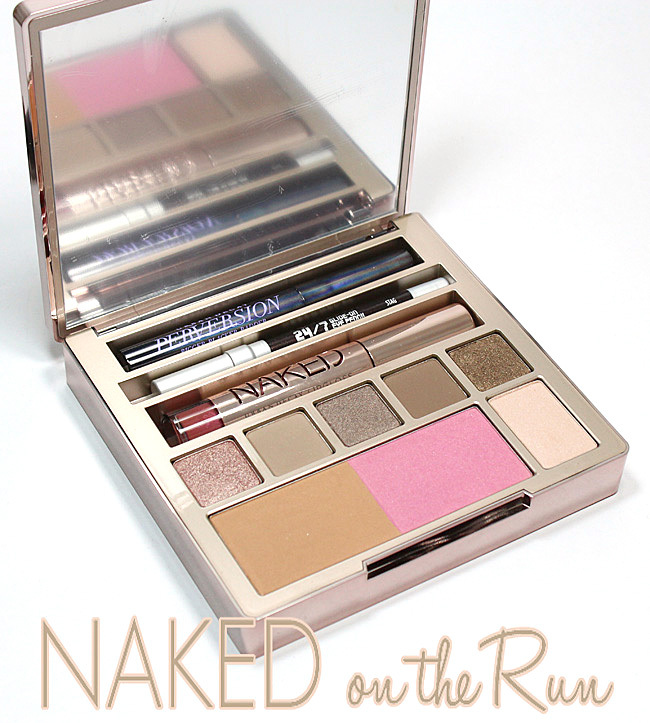 The NAKED on the Run palette is the ultimate travel kit for us Naked junkies. It comes packed with everything you need for a gorgeous makeup look. It includes six all new shadows, a bronzer, a blush, a lipgloss (which is FULL SIZE), a 24/7 Glide-On Eye Pencil and Perversion Mascara. What else do you need? The eye shades work perfectly together. I love that 5050 comes in a large size, as it the perfect all over base shade and it is the color that you will use up faster than the rest. 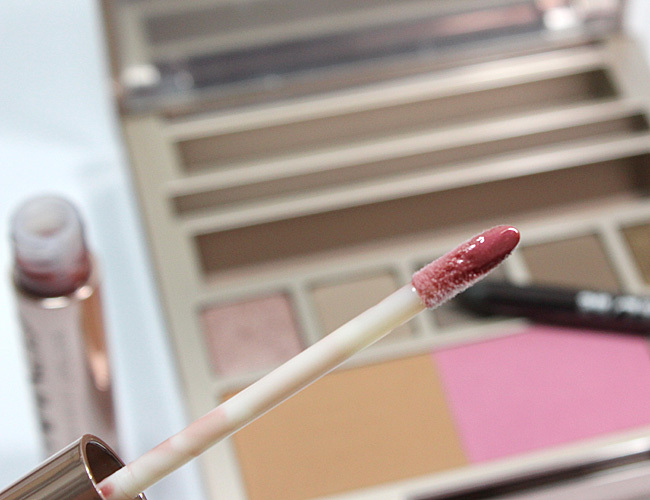 I have been using all of the shades to create beautiful looks - from daytime to evening looks. You can create everything here. The shadows are so soft, blendable and very long-lasting, made with Urban Decay's Pigment Infusion System. This proprietary blend of ingredients gives every shad such a rich pigment and the velvety smooth, almost creamy texture that I love. The bronzer is a medium bronze matte shade that is great for contouring and it will work great on most. The vibrant pink blush is great for adding a pop of color right onto the apples of cheeks. 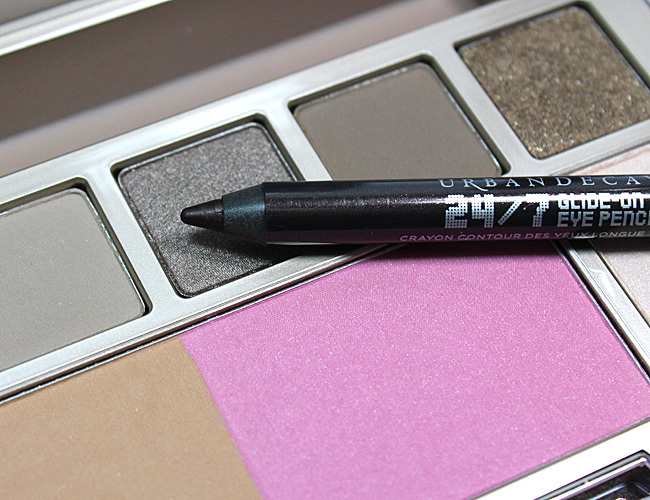 Eyes are complete with the 24/7 Glide-on Eye Pencil in Stag. This is a deep brown eye pencil that complements the shadows perfectly. It has a bit of a satin finish to it so it livens up the eyes. 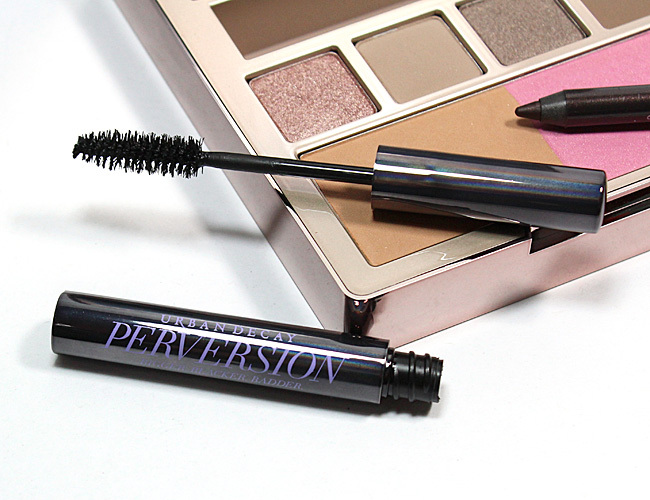 Perversion Mascara does a nice job at adding length and a bit of volume to lashes to open up the completed eye look. The Naked Lipgloss is one of my favorite glosses, with a subtle vanilla flavor and a hint of mint. This is full size, as I mentioned and it comes in a brand new shade names Sesso. It is a pretty medium rose shade with some pink shimmer in it. It will work very nicely on everyone. It is not heavy or too dark. The Urban Decay NAKED on the Run palette is available now for $54 from Sephora, ULTA, Nordstrom, select Macy's and online at urbandecay.com. Remember, this is limited edition, so grab it while it is still available. You don't want to miss this one!